Superdry men’s Combat hoodie. 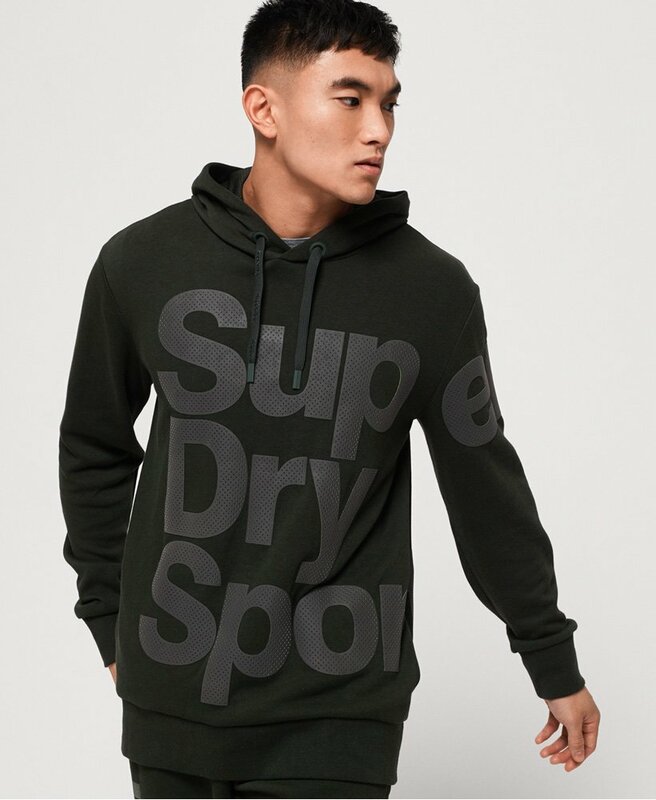 Achieve your personal bests wearing this hoodie, featuring a textured Superdry Sport logo on the front that continues across one arm and onto the rear. The hoodie also features a drawstring adjustable hood with a breathable mesh lining. The Combat hoodie is finished with a ribbed hem and cuffs, pockets in the side seams and a rubber Superdry logo badge on the reverse.